As I grew up, the Lions Club Pancake Breakfast and Jaycees Fish Fry were social gatherings that families didn't miss. In addition to helping out the clubs in their fundraising efforts, attendees would visit with friends and families and in social parlance, they would just hang out and be seen. For a small business owner, being seen in the community was an important part of their public relations plan. During the event, my father would field questions about new appliances and television problems; my mom would inquire about families and kids and both of their actions solidified relationships. There was no doubt that the majority of those they met at the service club event would visit State Radio and Television when it came time to purchase their next TV or appliance. Times have changed. Service clubs hold fewer food-related fundraisers. My work with the Middleton Area Optimist Club has led me to believe that part of the reason is that it's not cost effective. By the time one purchases supplies and complies with food preparation rules supplied by the health district, the price of the ticket is likely higher than one would want to pay to eat pancakes on a parking lot. Not to mention, the one or two dollars that the club receives from each ticket isn't a big return on investment. However, I must say that the way we socialize has changed as well. We text and email and reminisce with our friends on Facebook, making the annual pancake breakfast rather obsolete. That's why I was so heartened to see that the Optimist Club of Lebanon, Oregon finds its Strawberry Festival Breakfast to be part of the appeal to belong the club. At the recent Biz Expo sponsored by the chamber of commerce, the Lebanon Optimist Club was there in force to explain what they do in the community. The Optimist Club Strawberry Festival Breakfast banner was there, front and center, publicizing the event; but more important, reminding visitors that when they support the community, they support each other. I don't want to slow down technology. I'm all for advancing its power; but I would sometimes like to slow down time so that we are mindful of where we live and how a pancake breakfast put on by an Optimist Club has the potential to improve our relationships. Perhaps, coming together for pancakes could advance our community one relationship at a time. Perhaps some traditions need to be revived for service clubs and all. Encouraging children comes in all forms. There is the daily work that teachers do with their students every day and the small gestures that Optimist Clubs perform to honor and engage with them throughout the year. And then there are those who can go a step beyond and provide not only encouragement, but true delight. That's exactly what Ellen DeGeneres and Pharrell Williams did for the Detroit Academy of Arts & Sciences. And being Ellen, she had a camera crew there to record it so she could share her experience with the world. Please watch, clap and be happy. Moments like these are what it's like to experience optimism. 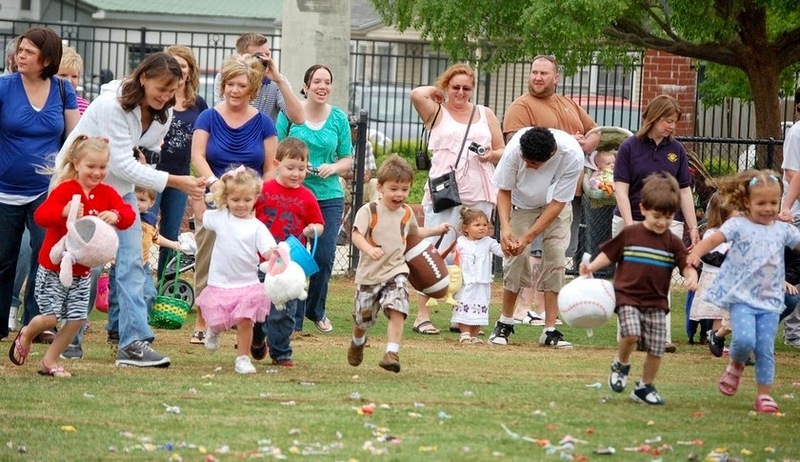 This weekend, children throughout the US and Canada will be dashing, hunting and scrambling for eggs as many Optimist Clubs host one of their favorite activities: the Easter Egg Hunt. Ask any Optimist Club spokesperson and they will say it's the best 60 seconds of the year. After weeks of planning and hours of setting up, the children arrive and wipe out the colorful, candy-filled eggs in record-breaking time. Smiles are seen all around as the kiddos claim their prizes and Optimist Club members and parents look on with delight. The Optimist Club of Meridian, Idaho proudly claimed on its Easter egg scramble flyer that it is the 37th consecutive year to host the event. That's an important record to publish for it acknowledges that the Optimist Club has been strong and contributing to the community for a very long time. It signifies its staying power and demonstrates value in belonging to the Optimist Club. Don't be afraid to brag a little about your Optimist Club's commitment to those it serves. So when the whistle blows this weekend, don't be looking the other way or you'll miss all the fun. According to the US Census Bureau, in 2012 there were 13,003 people in Marshall, Missouri. I find it heartwarming that the Marshall Democrat-News thinks that even in a town of their size, the happenings within the Optimist Club are worthy of print. And because of that, they even choose to publish the club's minutes as recorded by the club scribe. From their minutes of April 5, on that day the Optimist Club of Marshall came together with an invocation and Pledge of Allegiance, heard from a community group, the Fairy Prom Mothers; reported on a club program with the school district, planned to participate in two city-wide events in April, reported on the progress of the fish fry fundraiser to be held on April 18, and celebrated life events with their club members that included a 95th birthday, 65th wedding anniversary and an engagement. 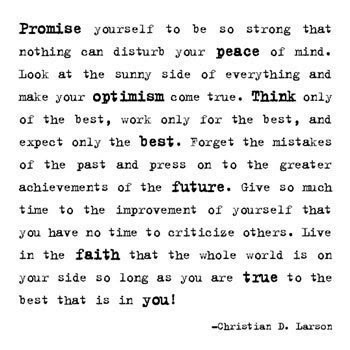 Of course, after all that goodness packed into a short 1-hour meeting, it concluded with the Optimist Creed. This meeting describes a traditional meeting style, one that I, growing up in the Midwest, came to know best. Traditional meetings give ample time to be informed, productive and social. Many find that there is comfort in structure and guests will often comment that they especially appreciate that the club says the pledge. They always enjoy the Optimist Creed. And this compact, 206-word summary tells me, and all of Marshall, Missouri, that the Optimist Club is alive and well and doing great things in the community. Are your Optimist Club's minutes worthy of print? If your answer is yes, then don't be afraid to share them with the world! Recognition for students or adults? The headline said, "Big awards given, students recognized" and this was the photo that accompanied the story. I thought, oh my, those two gentlemen don't look like students. And then I read the rest of the story. 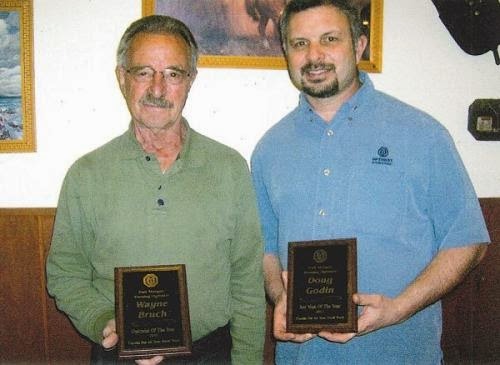 It is worth certainly worth noting that Wayne Bruch, left, received the Optimist of the Year Award for 2013 and Doug Godin received the Key Man Award for 2013. The presentations were made at during the student recognition program for the Fort Morgan Middle School students. I would imagine that the audience included students, parents and educators along with Optimist Club members and their guests. The good news is that the club got to brag a little about its members and projects to a receptive audience. The bad news is that the Fort Morgan Times kind of short-changed the students with their coverage. It appears that the paper responded to a press release from the Optimist Club for this article. "'The Evening Optimist Club is glad to fund an amazing program such as this,' the release says," writes the news staff as it describes how students were nominated to receive recognition. But sadly, there's no picture of students and not even a listing of their names. This is an example of how we can cross purposes with a press release. I would imagine that the reporter assigned to the story wasn't sure which idea to promote and made the best decision they could given their knowledge of the subject. For me, I'd rather see pictures of the students; and this makes it look like the Optimist Club recognizes their own first. Free advice: When sending out a press release, be sure that you are promoting one idea, not many. And make darn sure that you want the picture included with the story that is written. 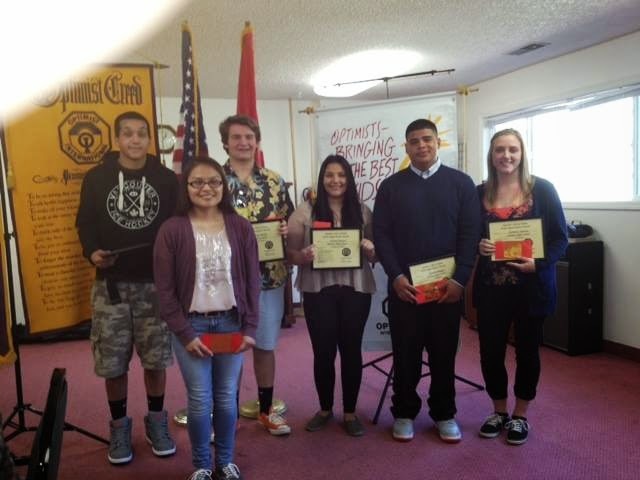 Congratulations to all, the adults and the students, honored by the Fort Morgan Evening Optimist Club. Today I announced to the world - the Optimist world that is - that I am running for Vice President-elect, West Region, Optimist International. It's been a long time coming. As readers of my blog know, I first joined an Optimist Club in 1987. Over the years I've been an active Optimist Club member and volunteer leader for the Illinois and Pacific Northwest Districts. In 1996, I was the secretary/treasurer of the Distinguished Illinois District and in 2010, I earned the status of Distinguished and Outstanding Governor for the Pacific Northwest District. I fully believe that if you work only for the best and expect only the best that you will achieve the best. The fact that I earned honors means that the Optimist Clubs were successful in their communities and for that I am grateful. During my Optimist career, I have even had the opportunity to work in heaven. That's right I was a professional staff member as the director of membership development and training at Optimist International for two years. You might say that I've done it all, but you would be wrong because I haven't yet had the opportunity to represent Optimist International as a vice president. Many people say that the role of lieutenant governor is their favorite position in the organization for as such, you get to travel to other clubs, share in their excitement for their projects and causes and inspire them to do even more. I believe that the vice president role would be much like that feeling on steroids. There are so many projects to learn about, so many Optimist Clubs to visit and so many Optimist Club members to meet. But visiting and giving well wishes is not enough. We must grow our organization and that means adding members and new Optimist Clubs. My passion is public relations. I believe that my expertise in strategic communications combined with my enthusiasm for Optimist Clubs is a powerful force that will allow me to help others amplify the good deeds and positive vision of our organization. Those Optimist Club stories will become magnets that will draw new volunteer members to our network of positive people and projects. When elected, I promise to deliver a strategic public relations plan that all Optimist Clubs may follow. More than that, I promise to work with the Optimist Clubs in the West Region to launch, maintain and promote their positive presence in their communities. Together, we can tell the Optimist Club story. Together, we can gain more members and add additional new Optimist Clubs. Together we will grow. This is the first year that Optimist Clubs will be allowed to vote online for international officers. Please discuss my candidacy with your Optimist Club members and encourage the president of your Optimist Club to vote for Linda Jackson for the West Region - Optimist International. Thank you for for your support. 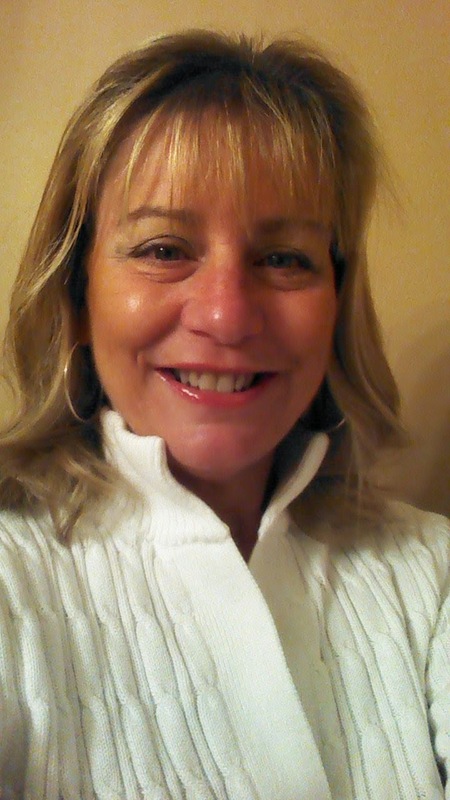 Please like Elect Linda Vaught Jackson - West Region, Optimist International on Facebook.